"Go with the guys who have seen it all before, seems to be Dhoni's response. This is possibly the oldest franchise T20 team ever assembled. Can they do it again at odds of 6.8? Take them on at your peril." T20 was, is and surely always will be, a young man's game. Or is it? Try telling that to the Chennai Super Kings, last year's deserved winners. 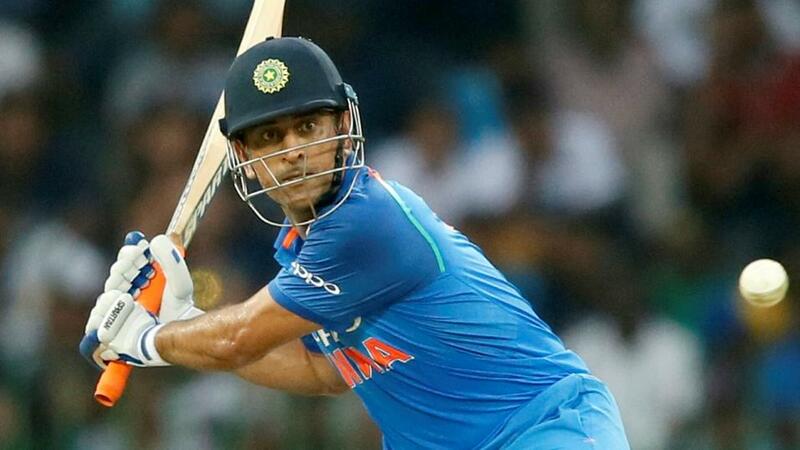 Their Kingpin MS Dhoni is 37, overseas all-rounder Dwayne Bravo 35, classy top-order 'Saffer' batsman Faf du Plessis is 34, bits-and-pieces India T20 and ODI stalwart Kedar Jadhav is 33, leg-spinner Imran Tahir 39, leg-side slogger Suresh Raina is almost 32 , middle-order rock Ambati Rayudu has just celebrated his 33rd birthday while Murali Vijay has been around for 34 years and last year's man-of-the-match in the final, Shane Watson, has been around for 37 years on this planet. Even the sprightly Ravi Jadeja is almost 30. Surely the policy after last year's success would be to freshen things up. Think again. MS Dhoni and the Chennai management aren't having any of it and have pretty much kept the tried-and-trusted crew together for one last heist, like something out of a Morgan Freeman/Alan Arkin/Robert de Niro movie about a bank robbery executed by OAPs. They've decided to stick two fingers to the numbers-crunchers who tell them that those tiring bodies will cost them an extra 15 runs in the field per game. Go with the guys who have seen it all before, seems to be Dhoni's response. This is possibly the oldest franchise T20 team ever assembled. Can they do it again at odds of [6.8]? Take them on at your peril. Can the Capitals' youngsters capitalise? At the other end of the scale, there's the newly-named Delhi Capitals. They can do with a change of name that might just bring about a change in fortune, after some pretty barren seasons. They've gone in completely the opposite direction. Their key men are opener Prithvi Shaw (19) - India's second-youngest Test centurion after Sachin Tendulkar - who will often be joined at the crease by hard-hitting wicket-keeper batsman Rishabh Pant, who is 21. Their main threat with the ball in terms of pace is 23-year old South African Kasigo Rabada, while their big player in the spin department is Sandeep Lamichhane, the 18 year-old Nepalese. The side is captained by talented top-order batsman Shreyas Iyer, 24. Yes, there's some experience elsewhere as you'd expect, but it's the youngsters who are the ones who could make this a successful campaign or a disastrous one. Go with youthful exuberance and back them at [8.6], a real value price. 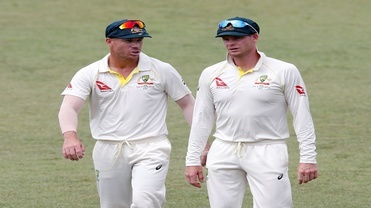 David Warner and Steve Smith (below) return to the bright lights of IPL cricket after their suspension for 'you know what' ended a few weeks ago, followed by stop-start stints in the Caribbean Premier League. Neither of them is fully fit after both suffered elbow injuries over the past few weeks. They'll both be desperate to remind the world that they're exceptional cricketers rather than cheats but it's not the outcome of their sides' success at this year's IPL that's the crucial point; it's whether they get recalled to play the World Cup in late May that everyone is wondering about. Australia, excellent in beating India in an ODI series away from home earlier this month, are [6.4] to win the World Cup. Last year when he was far from being fit, Lasith Malinga was sat in the dug-out, mentoring the Mumbai Indians' fast bowlers, giving advice, just trying to be of help wherever he could. A year on and he's back among the soldiers, the playing staff. Now 35 with endless niggles plaguing his worn body and carrying a bit more timber, he's back to deliver a few more toe-crunchers and assortment of slower balls. Let's not forget that Malinga's 154 wickets are an IPL record and that he was at the forefront of Mumbai's past successes. But reputation counts for little and his main priority is to get a game, let alone be a match-winner. It may just be the last time we see him on this stage. If Malinga is bowing out, then this is the first chance IPL fans will have of seeing Johnny Bairstow in action. Despite being 29 and playing 99 T20 games in his career, this is the first time he's been snapped up by an IPL franchise, in this case the Sunrisers Hyderabad. But before getting too excited, it's worth pointing out that he may not even play that much. Rashid Khan will definitely play, Kane Williamson will too and despite his flaws, they love David Warner in that part of the world as well. So it may just be a straight choice between Bairstow, Mohmmad Nabi, Shakib Al-Hasan and Martin Guptill for the final overseas slot. In the name of balance, they might just go to one of the two all-rounders, but let's wait and see. He'll surely get a game at some stage.